Do you ever have slow weekend mornings? They’re few and far between when we have them but when we do, I like to be lazy. I like to sleep a little later, relax with a cup of coffee while I flip through a magazine or browse Pinterest and basically move at a snails pace in doing anything. However, I have kids and my kids demand food for what feels like every single second of every single day. They want breakfast ASAP when they wake up and that doesn’t really gel with my sloth-like desires on slow weekend mornings. If your children are anything like mine then you also know you don’t get a lazy Saturday or Sunday…unless you plan ahead. I believe that easy breakfasts are the best breakfasts. Since I’m not generally a breakfast person – or a morning person – I don’t really like to get up early and put in a lot of elbow grease in the kitchen before 10 a.m.
Breakfast bakes are one of the easiest ways to make breakfast on these lazy days. They don’t take a lot of time to prepare and they can usually be made the night before. 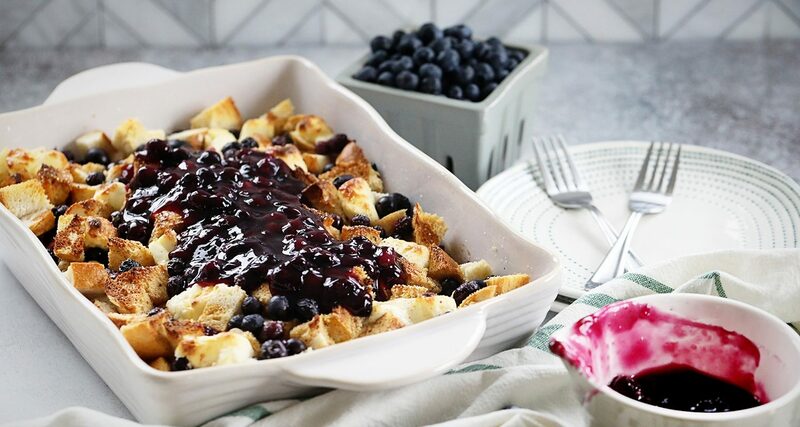 I made this Blueberry French Toast breakfast Casserole last week and it’s honestly of the most delicious breakfast-y, dessert-like things I’ve ever made. I can’t stress enough how incredible this is. Every time I had one plate full, I went back for seconds. It’s that good. Well it combines a few of my favorite things. 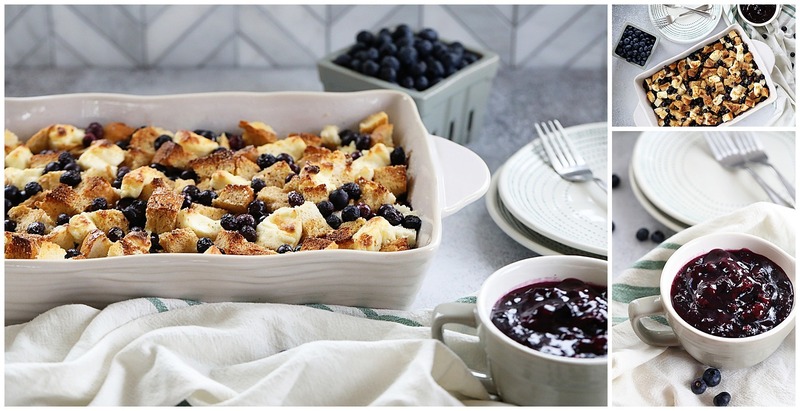 You have sweet, juicy blueberries; soft, gooey cream cheese; a beautiful egg mixture and French Bread. I know it sounds weird, but TRUST ME HERE. 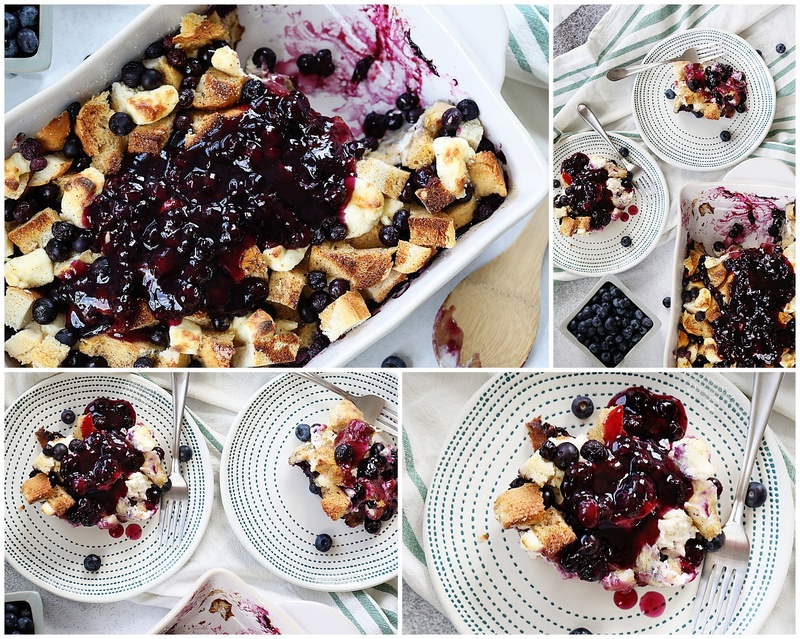 If French toast and a blueberry blintz had a baby, this dish would be its beautiful outcome. 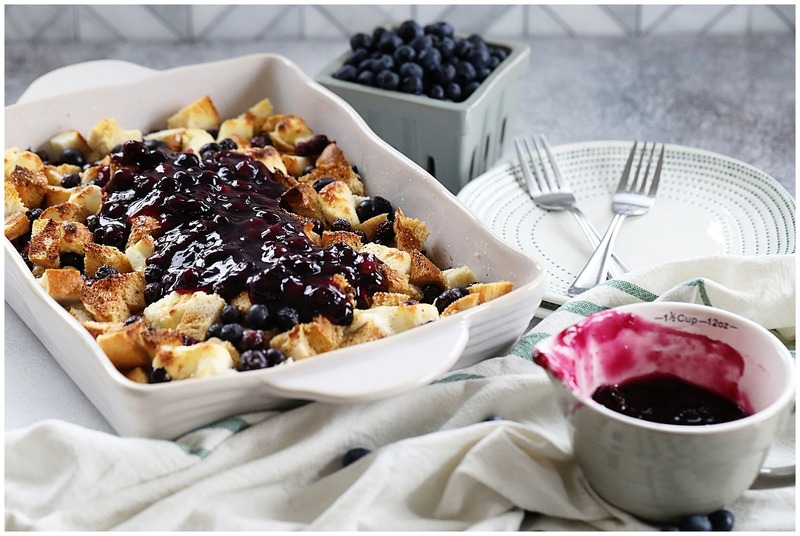 This Blueberry French Toast Casserole is perfect for those easy Sunday mornings and it also pairs well with that daily 3 p.m. coffee everyone needs. 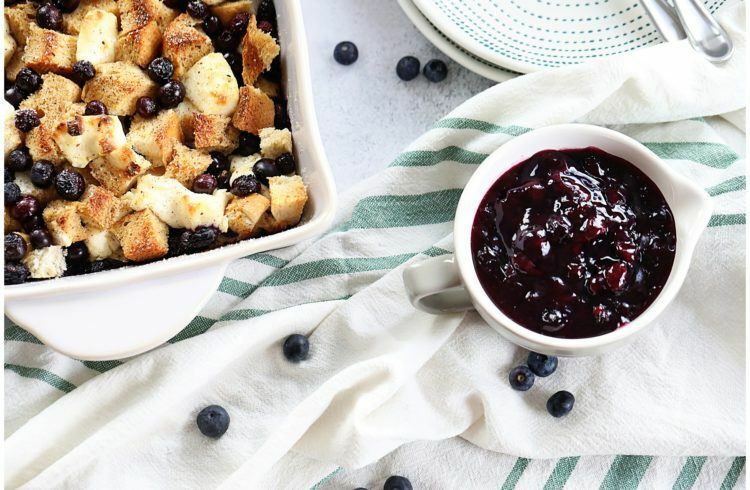 The simple, fresh Blueberry Sauce makes this all the better! It takes this from 100 percent good to 150 percent on a scale of 0-100 and it is incredibly easy to make while the casserole bakes. Tip: You need to chill this for at least two hours before baking. You may also make it the night before and put it in the refrigerator overnight. Cut your French Bread into 1-2 inch cubes. Combine eggs, heavy whipping cream, whole milk, sugar, vanilla and cinnamon together and mix well. Cut cream cheese into 1 inch cubes. Grease your baking dish and layer in half of the bread. Layer in half of your blueberries and half of your cream cheese. Add a second layer of bread and then top with the rest of your cream cheese and your blueberries. Sprinkle on additional sugar as desired. Ladle the egg mixture over the top of the bake, ensuring that all the bread gets some coverage from the egg mix. Chill for at least 2 hours. You can make this the night before too, but you need at least two hours in the refrigerator. When ready to bake, preheat the over to 350. Bake for 30-40 minutes until the eggs have been cooked and the bread on the top of the casserole is a slightly golden brown. The cream cheese will not melt like normal cheese so expect to still see it hold shape. 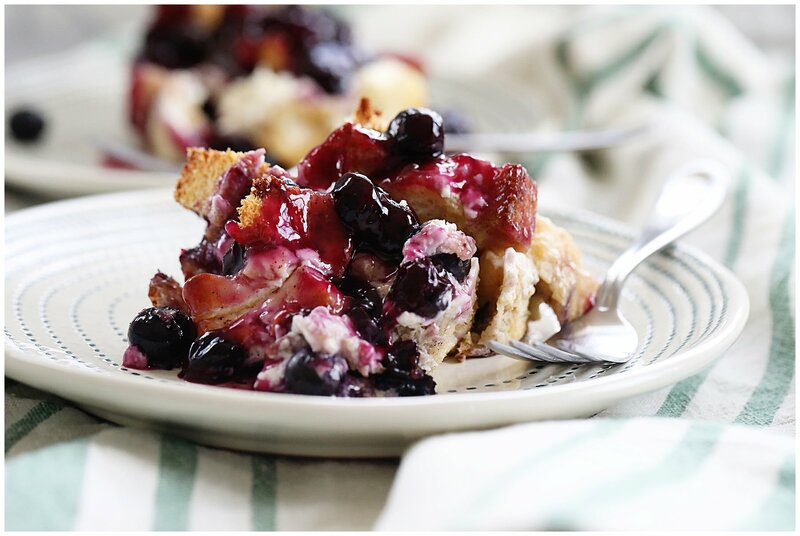 Cool for about 10 minutes and then serve with the blueberry sauce. This should be served warm but not hot. It is also easy to reheat later if you have leftovers. In a small pan, combine sugar, water, blueberries and cornstarch. Simmer for about 10-15 minutes until blueberries have softened and the cornstarch has thickened the mix. 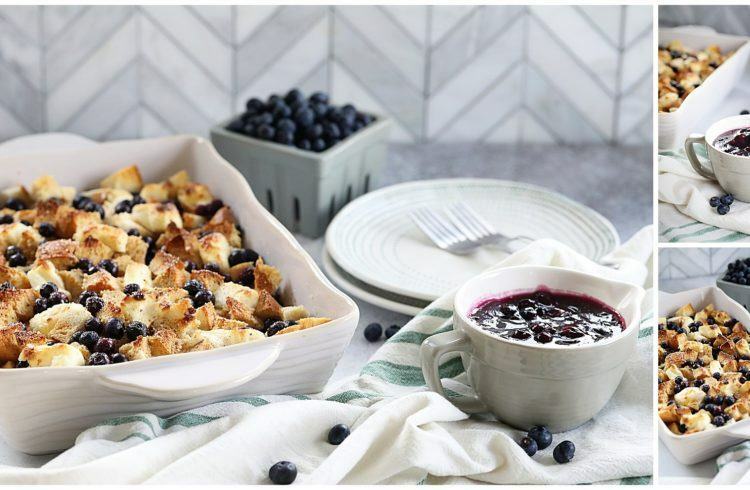 Cool slightly before serving and then pour half over the Blueberry French Toast Casserole. Reserve the other half for people who want more or for leftovers! If you decide to make this please let me know how you liked it! 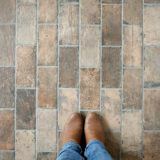 We really love it over here and hope that you and your family will love it just as much. This would be a perfect breakfast! Or dinner. I’d eat this at any time of the day. I just love French Toast and blueberries. Oh my gosh my mouth is watering! This looks AH-MAZING!! I am all over this for sure! YUM!! I’m such a huge fan of breakfast casseroles: You just assemble all the ingredients, pop it in the oven, sit back and then enjoy it with your guests or the family. Great recipe! Oh boy, does this casserole look delicious! 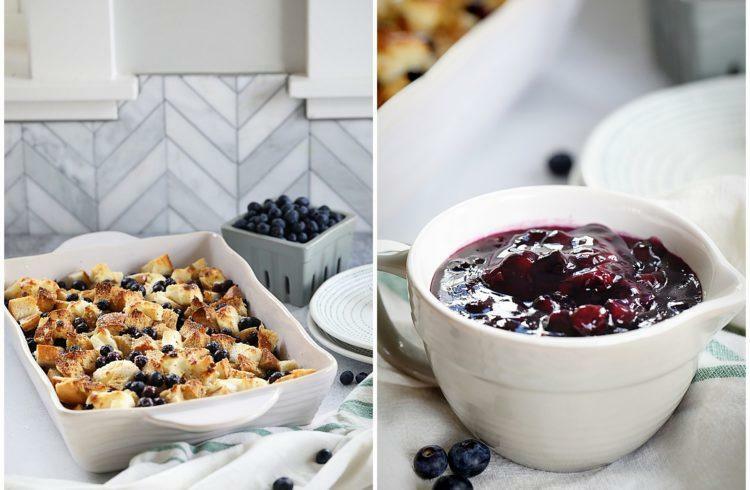 I love french toast bakes, and blueberries too! I bet this would also taste good with some strawberries thrown in for good measure! WOW!!! like can you make me this right now??? This looks incredible!!! This recipe looks amazing and so savory. It would be perfect for my next brunch. Now this is a breakfast idea I’d love to make! Weekends are my days where I make more of a bigger breakfast. I look forward to making this gem! I would eat blueberries on every single thing I eat if they were readily available fresh and year round here. Luckily they are right now so I’m going to give this recipe a try sooner rather than later. This would be perfect for when the grandkids are here. It looks like it would feed everyone and then some. My husband loves blueberry desserts. They are his favorite. We have a blueberry bush, and when they come in during the summer, I always make different desserts for him! My first time to your blog. I am going through each section. I really love it. The photos are gorgeous. 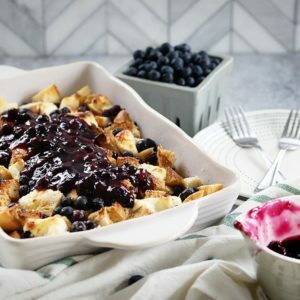 I came here for the blueberry french toast casserole, leaving here with a recipe and a new blog to love! Yum! This recipes is super pretty and vibrant! i bet it tastes amazing too! I seriously am going to make this sometime soon! I may have to switch out blueberries for apples because I like apples better but this still sounds amazing! Oh man! I love blueberries and I need to try these!! Great sweet dessert for breakfast or family gathering. I love the blueberries! This is my kind of Sunday brunch! We love to make always with the whole family reunited! Oh, my! That looks divine. If only I had all the ingredients, I’m going to make it right now. Wow. This looks like a beautiful dish! I’ve got to try this, looks so yummy! I so need to make this! 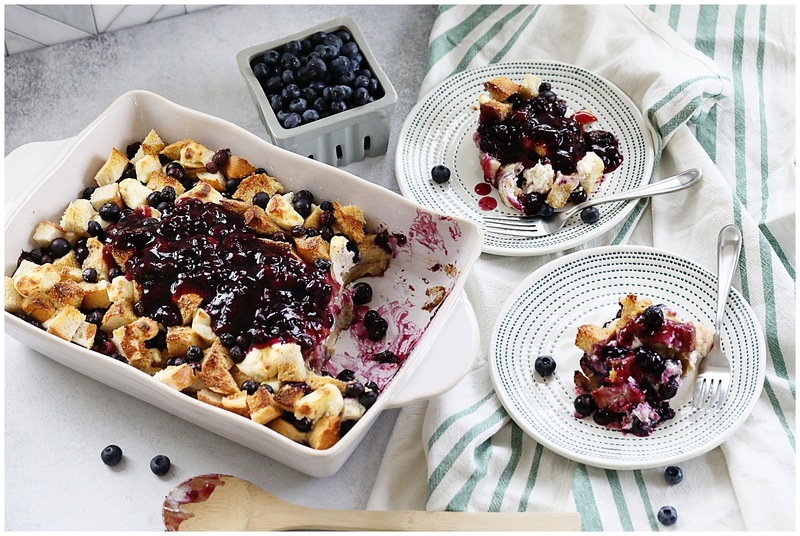 I’ve done a french toast casserole before but never with fruit! Looks really delicious and perfect for Easter or Mother’s Day brunch! 5-Star rating on your recipe here!! YUM… Oh, and I love your plates!! Your site is so beautiful! I love the dishes you used as well. This recipe looks delicious I know my kids will love it! 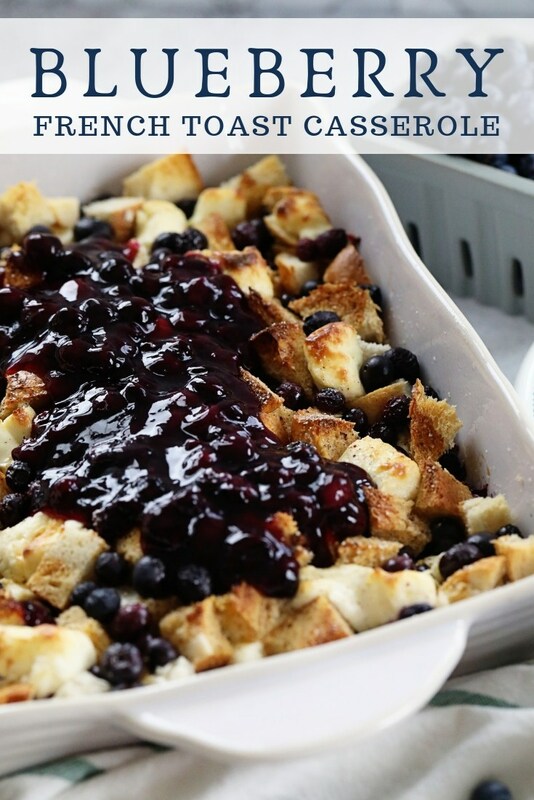 This blueberry casserole looks like it would be so awesome. I totally need to try this! Hello! We are Rachel and Kevin and we hope you will join our family as we learn to live better on seven acres in a renovated 1900 farmhouse. 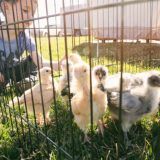 Sugar Maple Farmhouse is about one suburban family’s journey to live differently and raise their family on a small farm while learning to live better and more sustainably.